When he arrived he saw his brothers being judged by the governor, so he turned around and dared not approach them. Rather, he contemplated the glory and good things prepared for his brothers. Divine grace therefore warmed his heart, so he turned around and approached the governor, and confessed before him that he too was a Christian. Then Theodotion jumped on the governor and toppled him from his throne. He was immediately seized and tormented with red-hot iron nails that pierced his sides and stomach, then he was beheaded. 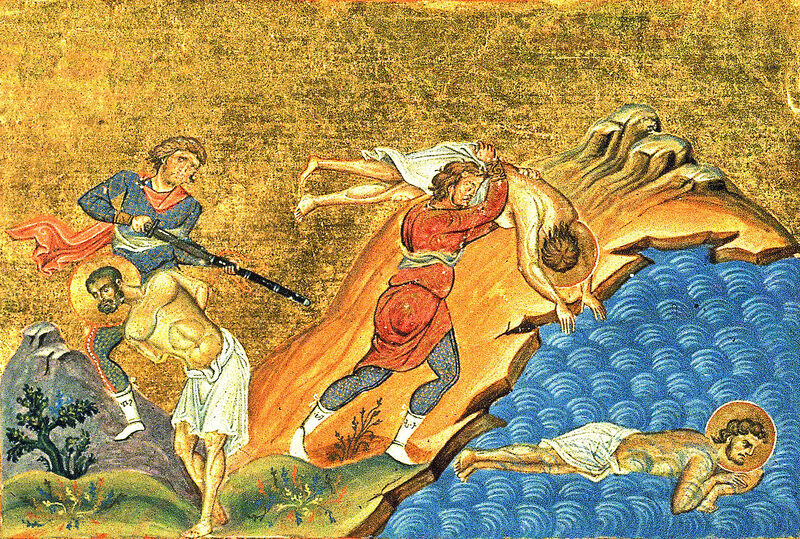 Meanwhile Paul and Pausirios were cast into a river and drowned. 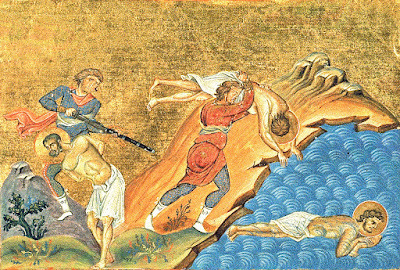 In this way the renowned Martyrs received crowns of martyrdom.